The Vietnamese club struggled in the early matches of the competition, but their form has picked up recently. After a goalless draw against Persija Jakarta and a 1-3 defeat to Ceres Negros, back-to-back wins over Shan United have raised hopes the club can make it to the knockout round. Having beaten Shan United 2-1 in Myanmar, Binh Duong were confident on home turf. 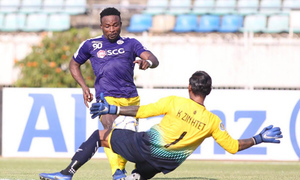 It did not take long for the hosts to find the opener, with experienced striker Nguyen Anh Duc making great use of Victor Mansaray’s cross on the right flank to send the ball to the far corner past custodian Myo Min Latt. It was Duc who made an impact again in the 25th minute, this time with an assist to To Van Vu, whose strike from the edge of the box left Shan United two goals down in 30 minutes away from home. 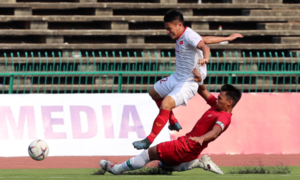 The closest the visitors got to scoring in the first half was when Zin Min Tun skillfully lobbed the ball over goalkeeper Pham Van Tien’s head, only for it to hit the crossbar and be cleared right in front of the goal-line by Binh Duong’s Veniamin Shumeyko. 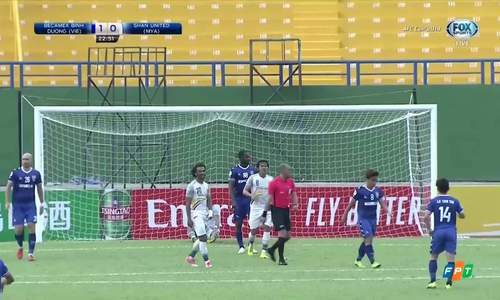 Things were even easier for the host in the second half as Victor Mansaray collected a long ball from Le Tan Tai and fired it past helpless Min Latt just a minute after the restart. 15 minutes later, Mansaray himself added to Shan United’s woes with a lovely volley. 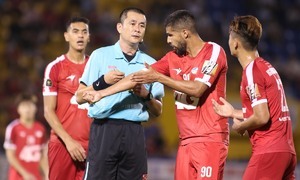 Binh Duong continued to benefit from the visitors’ dreadful defense when Ali Rabo’s freekick found American striker Mansaray, who headed the ball into the empty net to complete his hat-trick, giving his side a comfortable five-goal lead with almost half an hour to play. 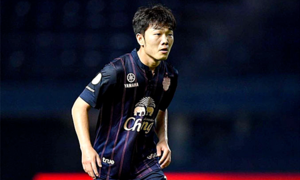 Defender Ali Rabo put the cap on a miserable night for Shan United, scoring the sixth goal with just one minute lieft in the clock. 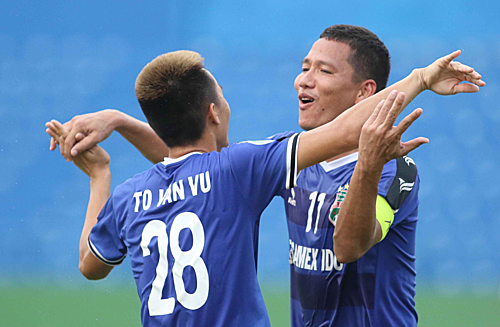 Thanks to the thrashing of Shan United, Becamex Binh Duong have claimed the second spot in group G with seven points after four games, giving their hopes of reaching the ASEAN zone semifinals a real boost. Their opponents have been eliminated from the competition with zero points from four outings. 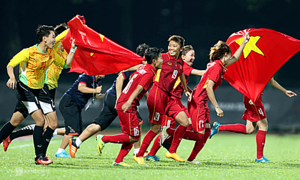 V. League 1 champions Hanoi FC are also competing in the tournament. They are currently second in group F with 4 points in 3 games, and will play Yangon United away on April 17.